A Bridge Across the Monongahela « Midlife Crisis Crossover! Once again my wife and I are on the road, now in the middle of our nineteenth annual road trip to another land not exactly our own. Above is a sneak-preview snapshot from where we spent our Sunday morning in the middle of the American heartland. It’s one among many images we’ve been taking and curating for our eventual 2017 Road Trip miniseries. But first we have to finish experiencing it. In the distance is the city of Morgantown, West Virginia, home of West Virginia University and thousands of its students and graduates. Our last visit to West Virginia on our 2008 road trip had us staying in the capital city of Charleston. Morgantown is livelier, hillier, denser, and cooler in general, whether they know it or not. Admittedly I’m setting aside the one citizen I saw driving an SUV with a vanity plate reading “COAL”. I imagine our hoteliers, with their encouraging signage and active demonstrations of “going green” initiatives in full effect, might have dissenting thoughts. 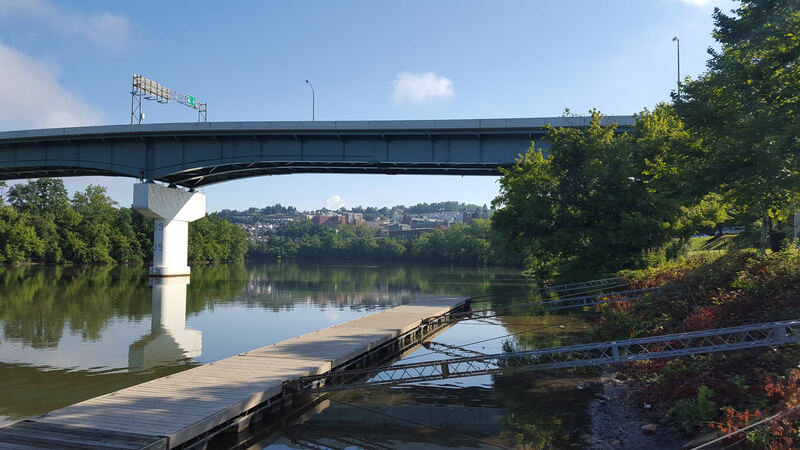 In the foreground, the Westover Bridge crosses the Monongahela River and connects their walkable, business-packed downtown and one of the heavily forested residential areas. A hidden one-way alley led us to Hazel Ruby McQuain Park, where we enjoyed this lavish natural view and the company of a few peace-seeking, early-rising humans and several ducks of varying temperaments. If you squint at the photo, you can spot two bonus ducks making a beeline for the pier. 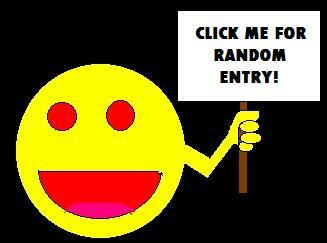 We’ll make them plainer in other pics in a future entry. Morgantown wasn’t our final destination for this trip, but a pleasant stopover that caught our eye during the vacation research phase. Morgantown itself was our bridge of choice between where we’re coming from and where we’d be, from where I’m typing this tonight. Sometimes your only goal on a bridge is to get to the other side. But some bridges make you just want to stop in the middle and take a good look at the surroundings it’s spanning. While standing at the hotel’s front desk Saturday evening, we had the pleasure of a brief chat with another guest, a sixtysomething grandmother and longtime Morgantown resident taking a brief break from her family reunion in the lobby. When we mentioned where we were from and what we do, the nice lady and the hotel clerk both gave us curious expressions and asked us the same question: why come to Morgantown, of all places? Anne’s answer was more eloquent than I can capture here, but the gist of it reminded me of a very different conversation in a very different context, but tangentially related to our next travel destination. Any serious fan of HBO’s The Wire will remember season one, episode one, scene one, final line.